At Blue Bridal Boutique, we offer designer wedding dresses and a luxury shopping experience at prices you can feel good about. 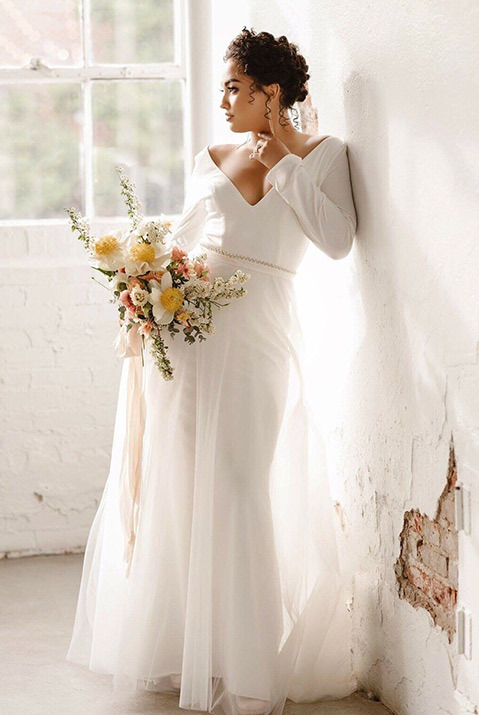 We have many wedding dress designers that are exclusive to our boutique which means you won’t be able to get those dresses anywhere else in Colorado. If you have specific questions about which styles we carry from each designer, don’t hesitate to reach out! If we don’t carry the style you are looking for, but we carry the designer, many times we will be able to get that dress in for you to try on during your appointment or during one of our trunk shows! Our wedding dress designers are listed below to give you a better idea of what you can find when you come to Blue Bridal Boutique! 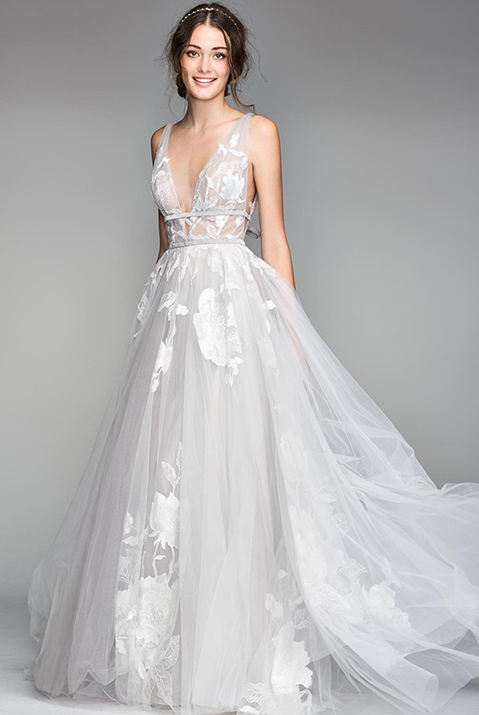 Tara Keely By Lazaro $1,800 – $3,000: This exclusive collection of our Denver boutique blends lush silk fabrics with rich colors and eye-catching details. This collection is a unique twist of modern sophistication and classic elegance to create a glamorous look. WTOO By Watters $1,000 – $1,950: Add a little vintage touch to your wedding with these beautifully hand-crafted detailed dresses. These impossible intricately designed wedding dresses have a touch of vintage style with a more modern twist to them. Made to be breathtaking with a touch of a fresh new look, these traditionally designed dresses will leave you feeling gorgeous. Willowby By Watters $1,000 – $1,950: If you enjoy a more sultry bohemian look, then the Willowby By Watters collection can offer the style you’re looking for. With an approach to Napa Valley chic, this elegant and whimsical style is just the ticket for your perfect garden ceremony, beach weddings, or the contemporary wedding you’ve been planning. This collection offers a more blasé approach to your special day. 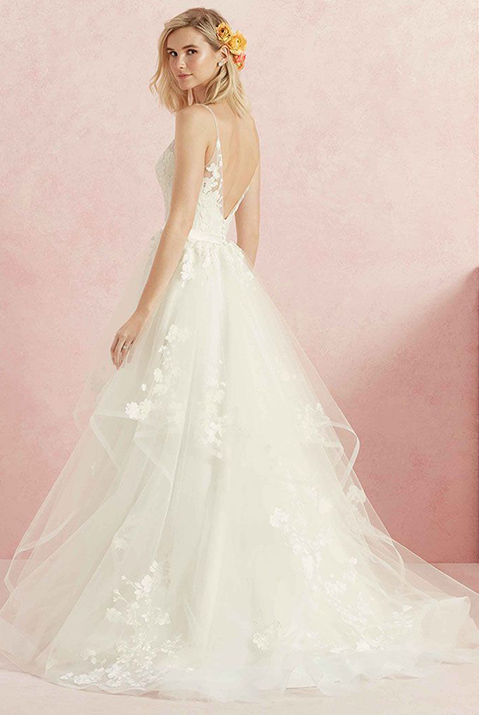 Aire Barcelona $1,600 – $2,400: This collection is exclusive to Colorado and is one of Blue Bridal Boutique’s favorite wedding dress designers. Similar to the Alma Novia collection, these wedding dresses offer a romantic and contemporary look for the bride. Made from soft fabrics with a touch of exquisite lace details, these wedding dresses will offer an impeccable fit. 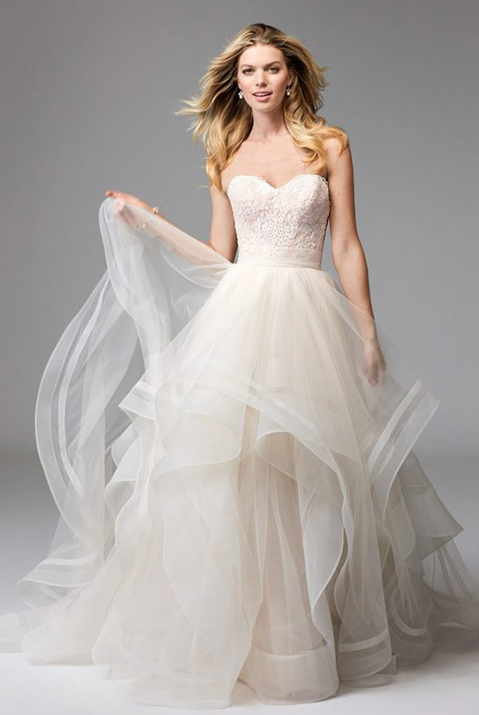 Heidi Elnora $1,800 – $3,000: If you want a fresh take out a wedding dress, then try this refreshing designer. By incorporating innovation into her designs, Heidi Elnora will offer you a fresh take on your dream wedding dress. This designer offers the bride an opportunity to design, create, and build the wedding dress of her dreams. 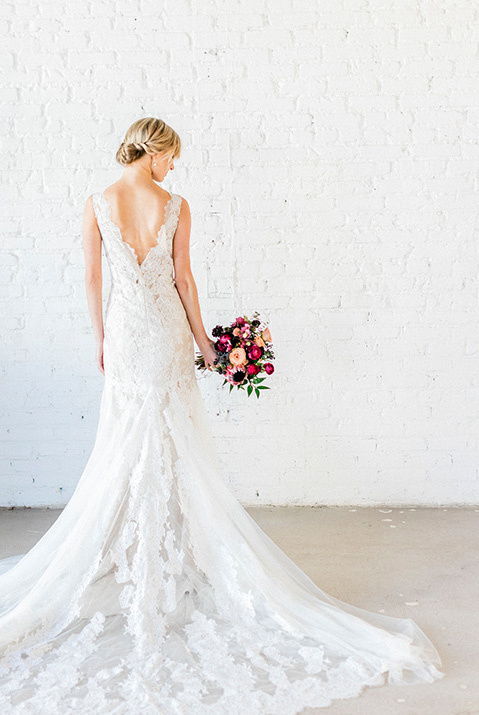 Beloved By Casablanca Bridal $900 – $1,600: This collection is one of our newest. The designs on these wedding dresses are handcrafted and very fashion-forward. Each of the wedding dresses in this collection is handcrafted from high-quality fabrics and lace. If you’re one to enjoy a fashion-forward and contemporary style, then these detailed gowns are for you. Blue Bridal $1,100 – $3,500: An exclusive collection designed by Blue Bridal, specifically for our brides! From understated chic styles to looks with bohemian elegance, we have gowns in every coveted style. Intricate hand beading and high-quality lace are just a few of the finishes, but we can custom design the dress of your dreams no matter what style you hope to wear! 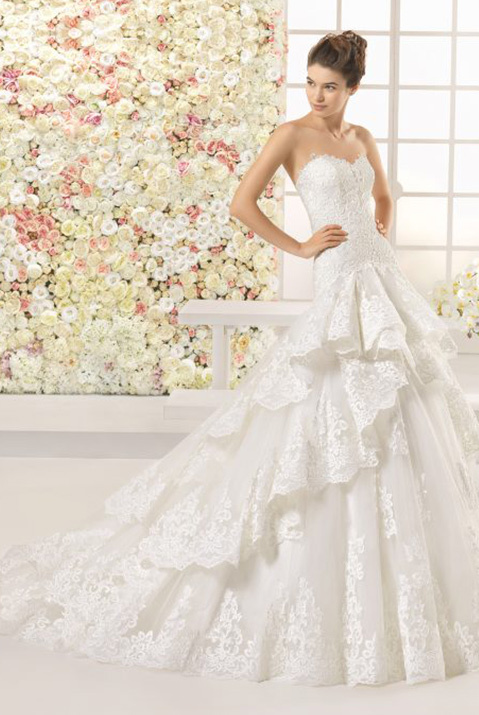 Casablanca Bridal $1,100 – $1,800: This collection will reflect an original and a unique design. 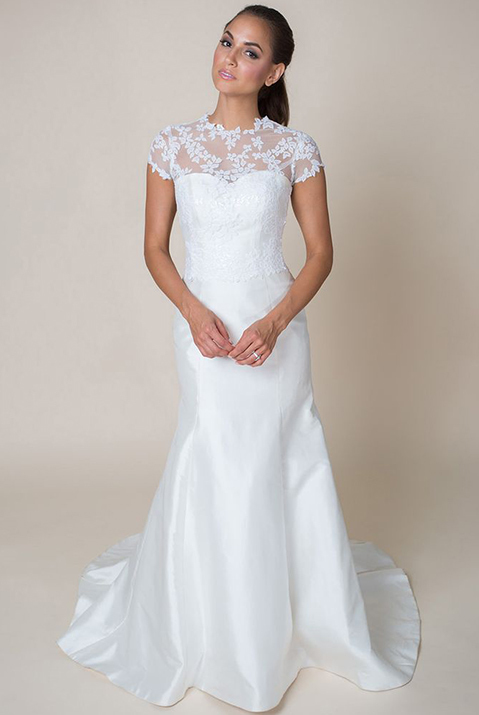 The gowns reflect high quality, impeccable details, and are designed beautifully. 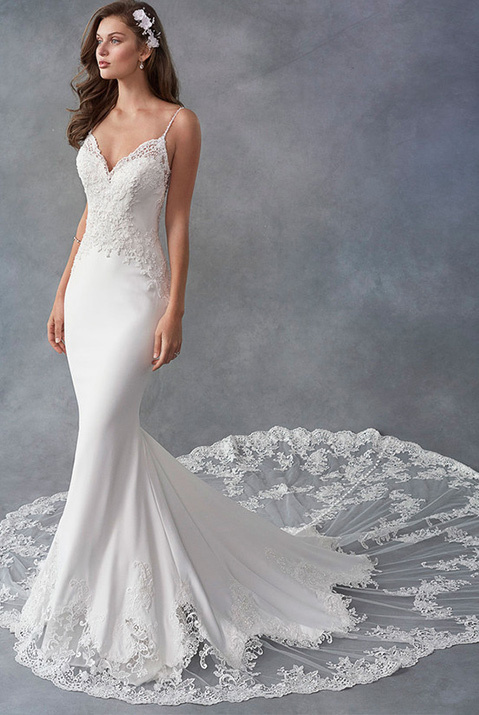 By introducing a more classic look blended with hand beaded designs and lace, you’ll have a more contemporary and exquisite dress that’s customized to fit your needs. Kenneth Winston $1,400 – $2,900: You won’t find this exclusive Colorado collection anywhere else. If you have dreamed of a classic wedding dress made from high-quality fabrics with an innovative design, then this collection is for you. Made with a more classic twist, these wedding dresses are committed to being top quality. The quality of these wedding dresses are fantastic and the designs are improving year after year. Sara Gabriel: If you want to incorporate accessories with your gown, then Sara Gabriel has a beautiful collection you can choose from. These gorgeously and meticulously crafted headpieces and hair jewelry are made from a variety of details that will help you create a special look for your wedding. From freshwater pearls to hand-sculpted flowers, you can create a personal and signature look with Sara Gabriel. To look perfect on your wedding day, make sure you reach out to our seamstress to set up an appointment. Our alterations will ensure that your dress will fit your body flawlessly. For any questions you may have about our wedding dress designers or the alterations, don’t hesitate to reach out to us.